IMAGE: Don L. Anderson is pictured. 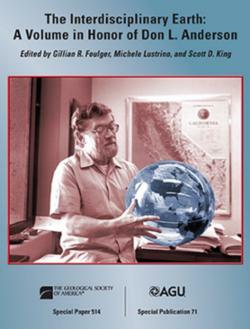 Boulder, CO, USA – This new GSA Special Paper is a memorial to Don L. Anderson, former director of the Seismological Laboratory at Caltech, recipient of the Crafoord Prize in Geosciences from the Royal Swedish Academy of Sciences, the U.S. National Medal of Science, and numerous other awards. A geophysicist extraordinaire, he contributed much to our understanding of the structure and dynamics of the interior of Earth.